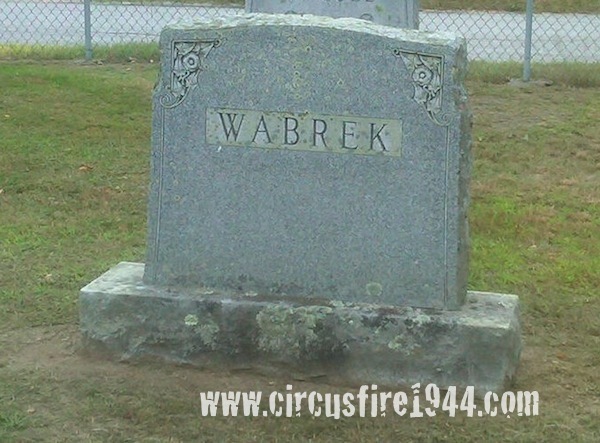 Miss Lorraine T. Wabrek of Cottage Street, New Hartford, was born March 21, 1931 in New Hartford, daughter of New Hartford natives Anna (Seitz) and John Wabrek. 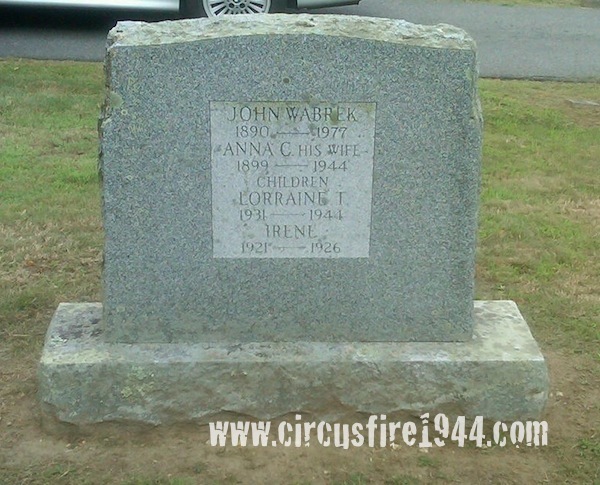 Lorraine was found dead at the circus grounds after the fire on July 6, and was buried at the North Village Cemetery in New Hartford after services at the Shea Funeral Home on July 8. 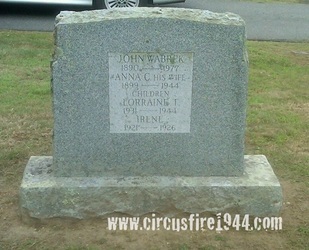 Lorraine ’s mother, Anna, was also a victim of the fire. She leaves her father, John, 54; and two brothers, Frederick, 25, and Waldemar, 19. 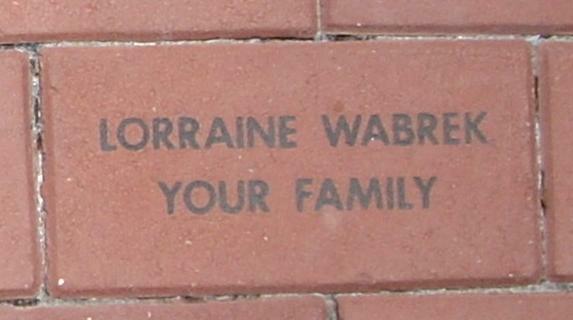 Body #1518 was identified at the State Armory as Lorraine Wabrek by her father on July 6. On the body was found a watch and a ring. 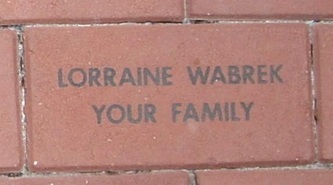 Lorraine ’s estate was awarded $7,500 by the arbitration board.